One of the very reasons why Mazi Benjamin Mmadubugwu and his co-detainees are most eligible for bail is premised on the fact that they have been remanded in prison custody by Justice Binta Nyako beyond even a jail term for the presumed crime of treasonable felony being accused of. The Nigerian government's prosecutor has failed oftentimes to tender reasonable evidence indicting them before the court. This is basically against the Constitution of Nigeria and the Administration of Criminal Justice Act (ACJA). Therefore, the continued detention of these men is against the provision of the law and totally fashioned out to service the dictatorial and sadistic pleasure of the Nigerian government. Another reason these detainees should be granted bail, arises from the enormous damages they possibly could demand from their captors should they eventually be found innocent of the registered accusations. 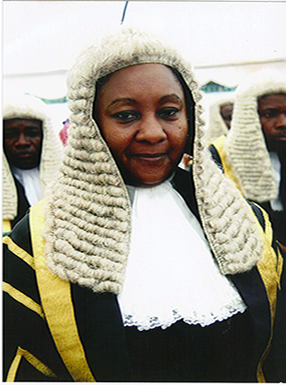 Does the presiding judge - Justice Binta Nyako, the National Judicial Commission (NJC) and the Nigerian government really understand the implications of extra-judicially detaining an accused person whose offence is bailable and who eventually gets vindicated? If these detainees fail to be granted bail on the ground of their presumed innocence, post-trial period will most definitely ensue when they will demand claims for the enormous damages incurred.